When I was digging through old stuff, I found my first ever attempt at a children's book 'Emily the Inventor', which I wrote when I was thirteen. It was a story about a little girl, who hated doing things and was very lazy. She invented loads of gadgets to save her the bother, unfortunately she got very fat, so she chucked them all away and wrote a book instead. It was very before it's time, or maybe not. People were very aware in the sixties and seventies about environmental/ consumerist issues. They just forgot it all in the eighties. 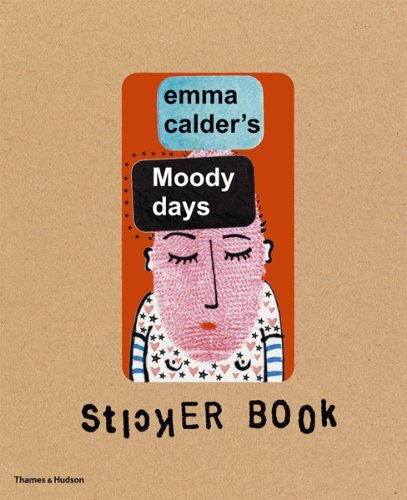 So before I forget, if you haven't seen a copy of Emma Calder's Moody Days Sticker Book yet, please check it out.